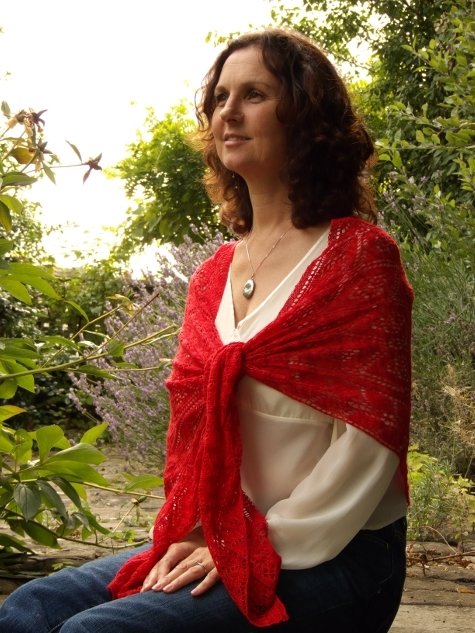 This shawl involves neither sewing, nor grafting, nor short rows, nor knitting-on; the whole project, centre and edgings, is knitted in one piece from one end to the other. And every alternate row is purled plain! Gently curving from chest to hips the shawl gradually increases from a small cast-on to the full back depth and then decreases back again to a small cast-off. 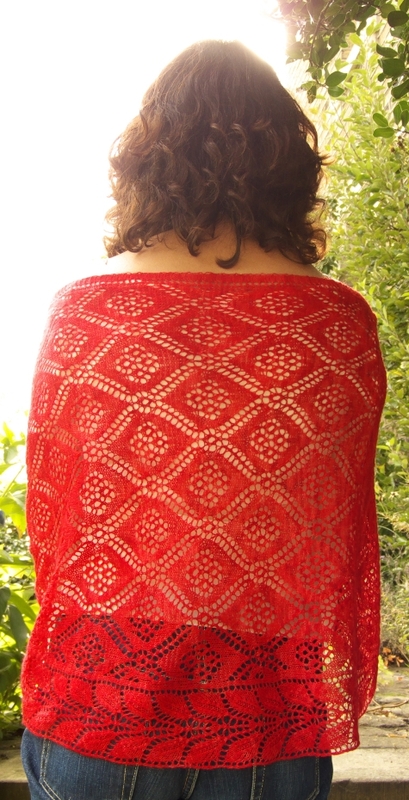 The main lace pattern is adapted from Shetland rose lace, and the leaf edging is of my own devising (details of the development of this lace edging pattern may be seen on my blog). To suit all preferences the pattern is both fully written and charted with simple and clear instructions. Blocking instructions are included with an accompanying diagram showing relevant measurements. (Final size is 190cm/78″ along the top edge, by 65cm/25″ at the deepest point). Choose a laceweight yarn in natural fibre (e.g. wool, alpaca, cashmere, silk and blends) for this project. 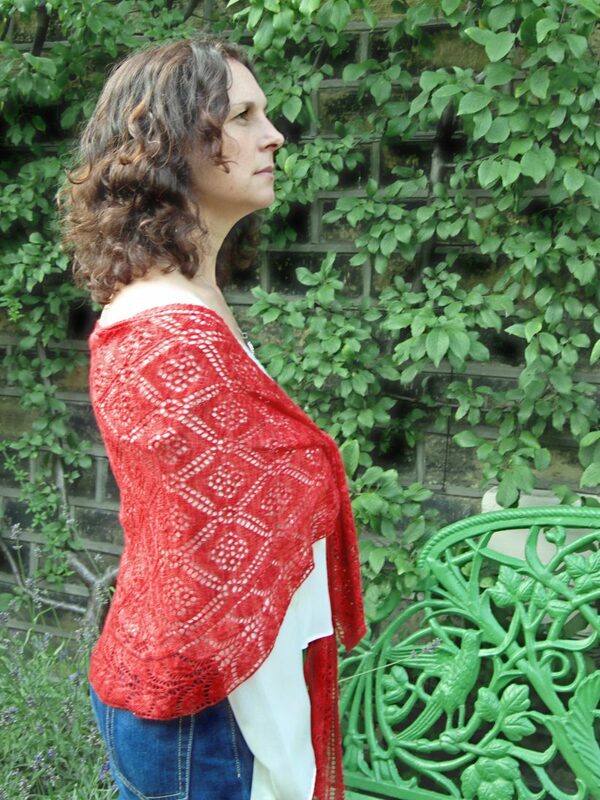 The shawl pictured was made with 75g ((980-1050m/1072-1148 yds) of hand-dyed laceweight cashmere from The Knitting Goddess. Suggested needle size is 2.75mm/US 2 to obtain a tension of 24 stitches and 38 rows to 10cm/4″ in the rose lace pattern (after blocking).